Nissan NV400 Performance, Engine, Ride, Handling | What Car? 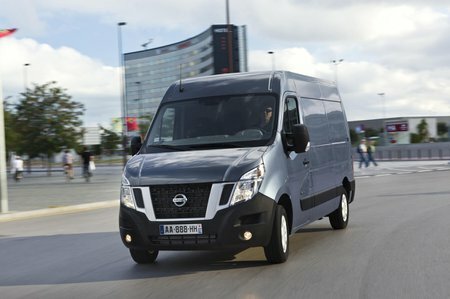 The engine used in the Nissan NV400 is a shared unit originating from Renault. 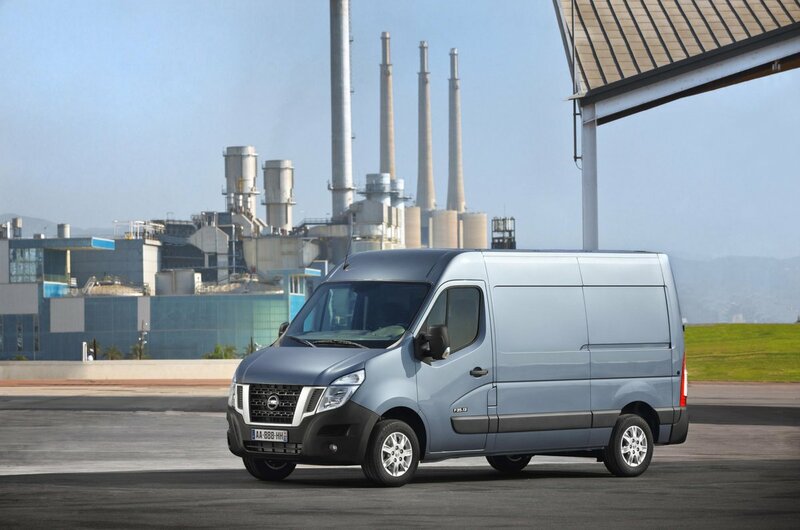 Like the higher-powered engines in the smaller Renault Trafic, Nissan NV300 and Vauxhall Vivaro vans, the NV400 uses twin turbo chargers to make its power. There’s plenty of low-end torque even in the entry-level 106bhp unit, with 214lb ft available from just 1250rpm. That makes it a multi-talented vehicle for both town and motorway work. It is also economical, with a claimed fuel consumption of 36.7mpg (versus 38.7mpg if you spec stop-start). That makes it the second most efficient model in the range behind the extremely powerful 165bhp unit. As a result, it is our recommendation for most buyers. However, with five options to choose from, you really can pick an engine that suits your needs. While additional power can be particularly useful in a panel van, the 2.3-litre unit seems more at home with a lower output. With some weight on board ride comfort is particularly good, but when at the lighter end of the scales it can feel quite jarring on our badly maintained roads. This isn’t helped by the seat position, which is a little too upright and puts you a fraction too close to the steering column. Nevertheless its’s a comfortable cabin to be in. The steering is accurate and provides good feedback, but it still lags behind the VW Crafter and Ford Transit, which feel much more connected to the road rather than giving the impression of bumbling over it like you get from the Nissan.